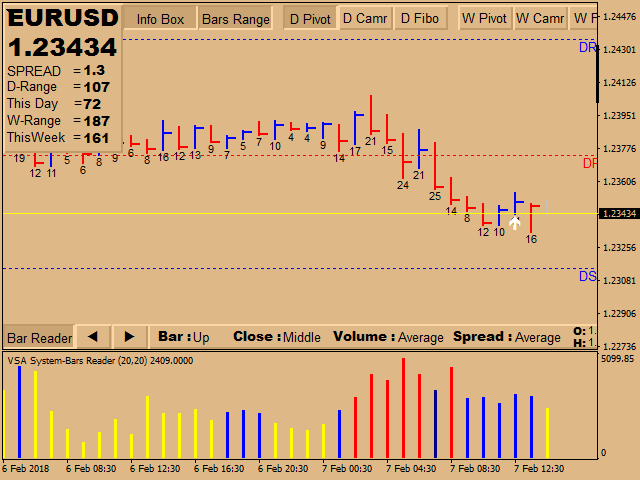 If you are using volume spread analysis, this system will give you a lot of help and features in your analytics. Please watch the video to see all the features. 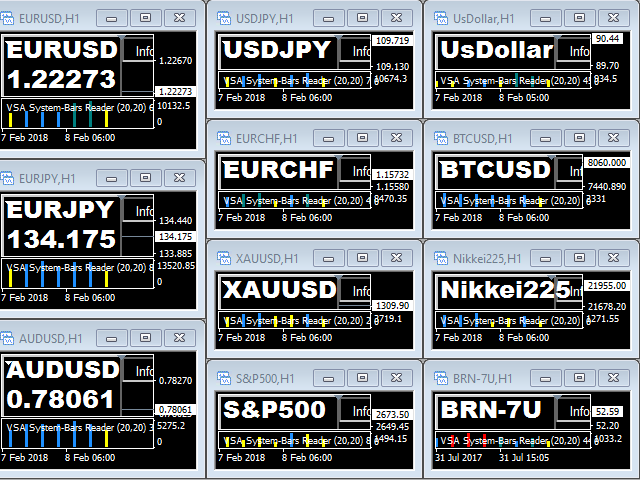 Easy to read volume indicator. 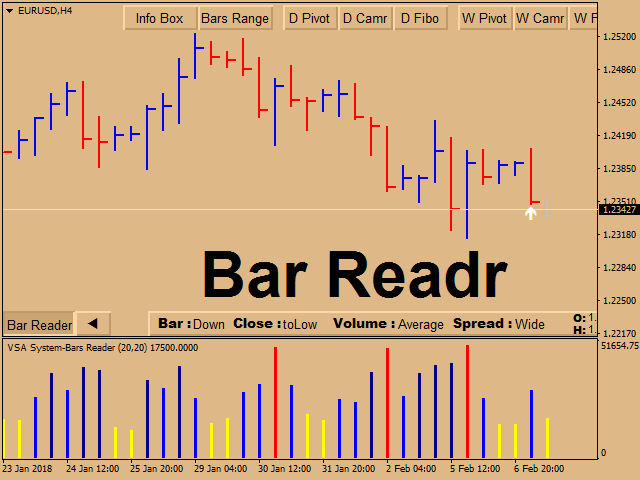 Bar reader (Bar type - Close type - Volume type - Spread type). 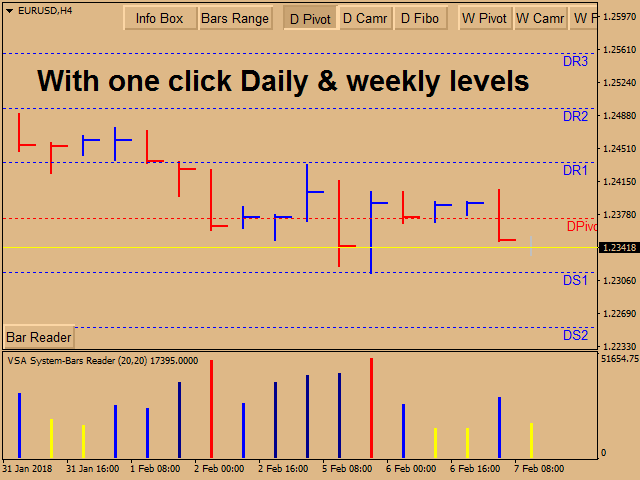 Daily and weekly levels (Pivot - Camarilla - Fibo). 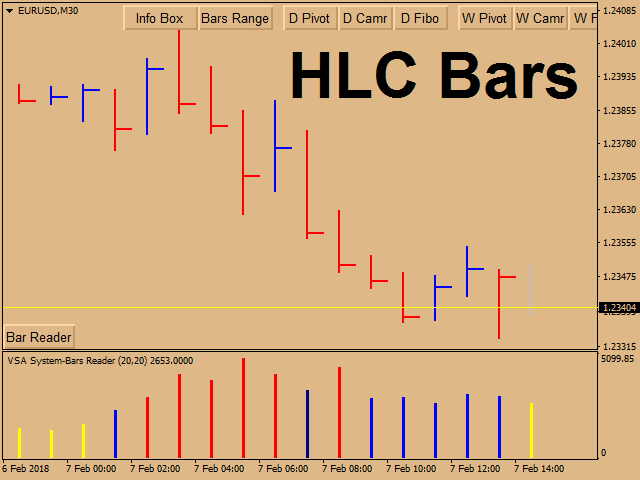 Weekly_Levels_parameters - from here choose the color and width and style for weekly levels. 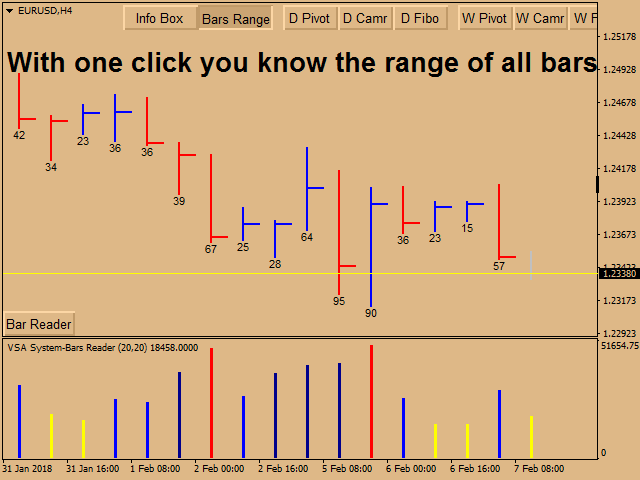 All inputs are explained in the video.